Smoothie I made last year. I am Carly R. and I came up with this smoothie recipe after I came back from war in Afghanistan. The village people would drink smoothies as if it were their job. So I decided to follow their footsteps and make smoothies daily. Note: The amount of each ingredient can change depending on your taste buds. 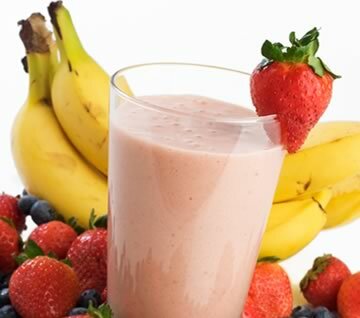 The changes you make will only effect the consistency of the smoothie. Blend each item together in a blender. Look for an even texture (no lumps). Pour into glass right away and enjoy.